Whatever the challenges your organization faces, your infrastructure can be part of the problem or part of the solution. F5 technologies can help you create an agile infrastructure that reduces costs, simplifies management, and delivers faster and better service to your employees and customers. Start by exploring these topics to find out how F5 can help you solve your most important challenges. Downtime is bad for business. Keep your competitive edge by making sure employees and customers can always connect to the applications that keep productivity up and transactions flowing. Your business simply cannot afford downtime. Making applications consistently accessible to your users is critical to minimizing costs and maximizing productivity. With F5 you can remove the roadblocks in your network to efficiently deliver high-performing, highly reliable applications and services. F5 solutions provide the power and flexibility you need to set priorities based on security, uptime, reliability, and performance, all while maintaining maximum availability. Eliminate unnecessary downtime and slow page load times for your users, and keep business—and innovation—moving blazingly fast. Faster applications. Performance without compromise. If your applications aren’t fast, your business isn’t fast. And there are a lot of reasons why applications can slow down. F5 takes a holistic approach to keeping you moving at top speed. The performance of your website and applications sets the pace at which you do business. Improve performance and you can increase employee productivity, boost business operations, and drive e-commerce revenue. Accelerate web applications for your users and customers. Speed replication between data centers. Improve performance for mobile and remote users. Reduce infrastructure and bandwidth costs. Virtualization is a must in any efficient, enterprise-class data center. F5 solutions help you scale and optimize your virtualized resources so you can achieve the highest operational efficiency. Building an efficient, enterprise-class data center requires virtualization. It’s critical to maintaining an adaptable network and accomplishing application scale, consolidation, and business continuity. Whether you’re taking advantage of server, desktop, or application virtualization, F5 provides hardware and software solutions that help you rethink your network infrastructure. With F5, you can achieve the highest efficiency and get the most from your operational resources. Operational efficiency. Flexibility and control. Efficiency and cost savings are the promise of cloud computing, but things can get complex fast. F5 solutions give you more control to automate and manage all of your resources consistently. Cloud computing promises operational efficiency and dynamic network adaptability for your organization. But achieving these benefits is challenging if you don’t have the right infrastructure. Elasticity, scalability, and automation require integration with on- and off-premises systems, which can introduce your organization to complexity and new security risks. F5 solutions enable the automated, repeatable deployments you need to reap and maintain the benefits of cloud computing. Base your operational strategy on the unique F5 application control plane architecture, and you’ll be well on your way to a dynamic, efficient data center that will ensure scalability, security, and manageability across your environments and systems. Managing explosive data growth can be expensive and disruptive. With F5 solutions, you can simplify storage management and dramatically reduce backup times, migration times, and storage costs. Your organization is experiencing explosive data growth, and your environment is complex and inflexible, but you want to reduce overall costs. You don’t just need more storage. You also need a better storage management strategy. With the right tools, you can monitor, manage, back up, and migrate your data with minimal disruption to users. Using F5 data management solutions, you can ensure optimal utilization of storage resources—including cloud storage—while reducing overall operational costs. Scalable protection for apps. Secure access to apps. Protecting your business from attacks is a relentless job. With F5, you can have dynamic, flexible, and powerful security that safeguards your applications, data center, and brand from emerging threats. Your workforce is on the move, as are the critical business applications they rely on to stay productive. Delivering high-performance apps to mobile and remote users—many of whom are bringing their own devices to the network—requires dynamic, flexible, and powerful security. With F5, you can secure access to applications and data from anywhere while protecting the applications wherever they reside. F5 delivers an intelligent services platform that integrates application delivery, monitoring, and context-based policy enforcement. You get a highly scalable, extensible, and simplified approach to maximizing security. Unified access control. Faster, more secure apps. No matter where they are, your mobile workforce expects fast, easy access to their critical applications. Simplify access control and securely connect any user on any device with F5 unified access solutions. No matter where they are, or what devices they’re using, your remote users need to connect quickly and easily to your global applications. But without a central policy control point to manage user access, controlling how your mobile workforce connects to the network can be difficult and time-consuming. Unified access solutions from F5 help you securely connect any user, on any device, from any location to your global apps. And with comprehensive, flexible policy control from a single device, it’s easier than ever to control access to corporate resources. Keep your mobile users productive and your information safe—with a solution that optimizes global application delivery in any type of deployment environment. Scalable, adaptable, profitable networks. Security guaranteed. For service providers, efficiency is key to profitability. With F5, you can simplify and scale your IP network to reduce costs, improve performance, and deliver new services with a single, carrier-grade platform. Amid a data explosion, you’re looking at diverse technologies, such as 4G LTE networks, to improve network coverage, efficiency, and performance. Your ultimate goal: improve profitability by driving revenue and reducing infrastructure costs. 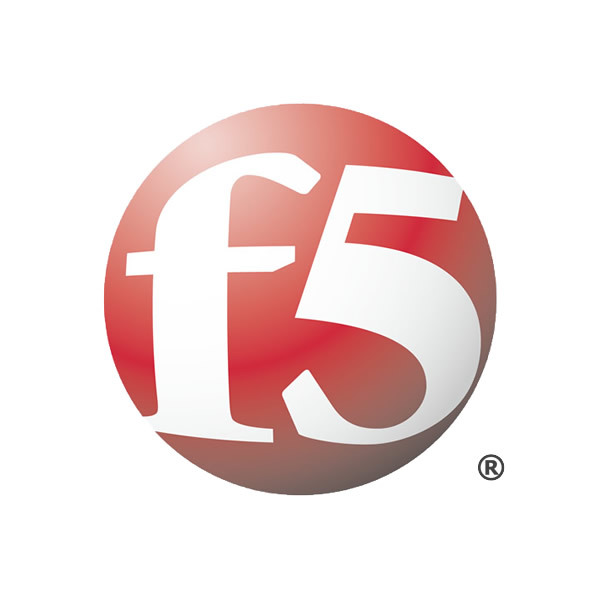 F5 solutions offer unprecedented scalability, reliability, and performance on a single, carrier-grade, purpose-built platform. Standardize strategic network control points and grow your business in a cost-effective, controlled way. Applications running across networks face performance, security, and availability challenges, which are likely to cost you productivity, opportunities, and your reputation. The BIG-IP product suite is a system of application delivery services that work together on the same best-in-class hardware platform or software virtual instance. From load balancing and service offloading to acceleration and security, the BIG-IP system ensures your applications are fast, secure, and available. Scalable, customized traffic management. The F5 TMOS platform gives you intelligent control over application acceleration, security, and availability services. Total application control. You gain unprecedented speed and accuracy in deploying and managing application networking services with F5 iApps. Flexibility to respond to business changes. Start with one function to meet current goals and add modular BIG-IP application delivery services as you need them. Scalability within—and beyond—the data center. F5 ScaleN functionality makes it easy to manage and scale application workloads between isolated environments, such as on-premises and the cloud. Critical apps—delivered quickly and effectively. An Application Delivery Networking system that provides intelligent traffic management as well as advanced application security, acceleration, and optimization. Fast, secure DNS and optimized global apps. Intelligently directs users to the best-performing data center to ensure high application performance. Scales DNS infrastructure, mitigates DDoS attacks, and delivers a complete, real-time DNSSEC solution. BIG-IP Global Traffic Manager (GTM) improves the performance and availability of your applications by intelligently directing users to the closest or best-performing physical, virtual, or cloud environment. Using high-performance DNS services, BIG-IP GTM scales and secures your DNS infrastructure from DDoS attacks, and it delivers a complete, real-time DNSSEC solution that protects against hijacking attacks—all in one high-availability solution. Unified global access and consolidated control. Provides flexible, high-performance global access with unified security to business-critical applications and networks. BIG-IP APM is available as an add-on module for BIG-IP Local Traffic Manager (LTM) physical and virtual editions and the VIPRION chassis platforms. It is also available as part of the BIG-IP Edge Gateway remote access product. Secure the data center. Protect applications. An integrated, full-proxy network firewall with superior scale and performance. Your business relies on applications for internal productivity and external customer access. Those applications and the data centers that host them are increasingly under threat from sophisticated, targeted attacks. BIG-IP Advanced Firewall Manager (AFM) is a high-performance, stateful, full-proxy network firewall designed to guard your data center against incoming threats that enter the network on the most widely deployed protocols—including HTTP/S, SMTP, DNS, and FTP. Overcome application performance bottlenecks. Increase revenue. A strategic combination of data center, transport, and application optimizations that overcomes WAN latency, maximizes server capacity, and speeds application response times. Organizations depend on applications to support business operations and drive revenue. At the same time, users are demanding more from those applications, including faster load times and access across a wide variety of devices. Poor performance can result in reduced productivity, abandoned shopping carts, and missed recovery point objective and recovery time objective (RPO/RTO) targets. The strategic combination of data center, transport, and application optimizations in BIG-IP Application Acceleration Manager (AAM) overcomes WAN latency, maximizes server capacity, and speeds application response times. By offloading your network and servers, BIG-IP AAM decreases the need for additional bandwidth and hardware. Users get fast access to applications—while you gain greater revenue and free up IT resources. A flexible web application firewall that delivers application security in traditional, virtual, and private cloud environments. Manage IPv4 address depletion and seamlessly migrate to IPv6. Provides a broad set of tools to enable service providers to manage IPv4 address depletion and migrate successfully to IPv6 while continuing to support and interoperate with existing IPv4 devices. The worldwide proliferation of wireless and Internet-enabled devices has led to the rapid depletion of IPv4 addresses. Communications service providers need to manage IPv4 address depletion and optimize network performance by seamlessly migrating to IPv6. BIG-IP Carrier-Grade NAT (CGNAT) offers a broad set of tools that enables service providers to successfully migrate to IPv6 while continuing to support and interoperate with existing IPv4 devices and content. An accelerated remote access solution that brings together SSL VPN, application acceleration, and availability services. BIG-IPEdge Gateway is an accelerated remote access solution that brings together SSL VPN, application acceleration, and availability services. With BIG-IP Edge Gateway, you can provide peak performance and secure access for your mobile workforce, regardless of user device or location. Available as a standalone appliance and a virtual edition, BIG-IP Edge Gateway combines the capabilities of BIG-IP Access Policy Manager (APM), BIG-IP WebAccelerator, and BIG-IP WAN Optimization Manager (WOM). Reduces the cost and complexity of managing multiple BIG-IP products by giving you a single-pane view and tools to automate common tasks and optimize performance. Enterprise Manager significantly reduces the cost and complexity of managing multiple BIG-IP devices. It provides a single-pane view of your entire application delivery infrastructure and the tools you need to automate common tasks and optimize application performance. Available in physical and virtual editions, Enterprise Manager gives you the insight you need to meet changing business needs. Multiple ISP connections. Total control. Monitors ISP connections to direct inbound and outbound connections to the best-performing and most cost-effective link. ISP connections are your critical link to the world, but managing multiple links can be a daunting task. BIG-IP Link Controller puts you in total control by monitoring the performance and availability of each link. It dynamically directs connections—both inbound and outbound—over the best possible link and improves application performance by prioritizing and optimizing traffic. With BIG-IP Link Controller, you get the tools you need to effectively direct traffic over the most cost-effective connections. Optimize and monetize networks with context awareness. Uses subscriber and context awareness to deliver advanced Layer 7 traffic steering, network intelligence, and dynamic control of network resources. The growth in mobile device usage and the explosion of data traffic from resource-intensive content is driving service providers’ networks to the limit. BIG-IP Policy Enforcement Manager (PEM) delivers the insight you need to understand subscriber behavior and effectively manage network traffic with a wide range of policy enforcement capabilities. This allows you to create tailored service plans, regulate network usage, and ultimately increase profitability.